Recruitment incentive – win your registration! One lucky Saracen will win their 2019 season registration! 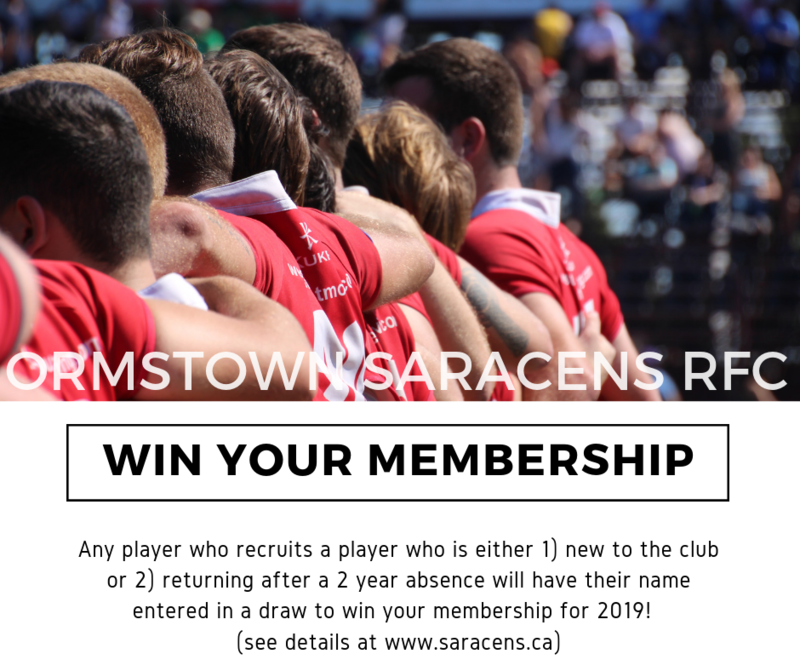 To be eligible, you must recruit someone to play who either is brand new to the Ormstown Saracens or who is returning to the club after 2 years (they did not play in 2018). Players of all ages are eligible to be entered in the draw (minis, junior or seniors). If you have recruited someone and they have registered already, email us at o.saracens.rfc@gmail.com and we can add your name to the list. Register now for the 2019 rugby season! 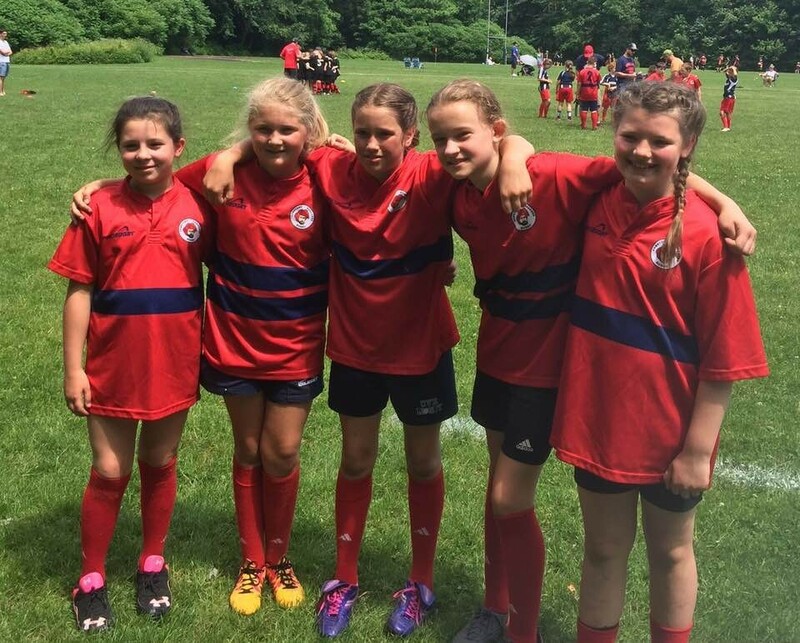 Registration is now open for the 2019 rugby season for all levels! ***Senior Members (non-students) have until March 20th to save $20 off their 2019 registration*** Senior students already receive a discount on membership. Note: All coaches and referees must also register. You can register for a single item or a combination (you may add categories after selecting your first registration type).